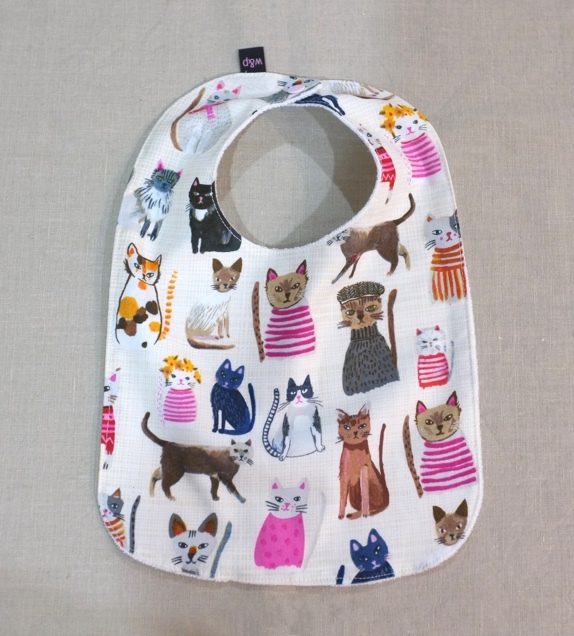 Ask any parent and they’ll list bibs as one of the essential items to have on hand. 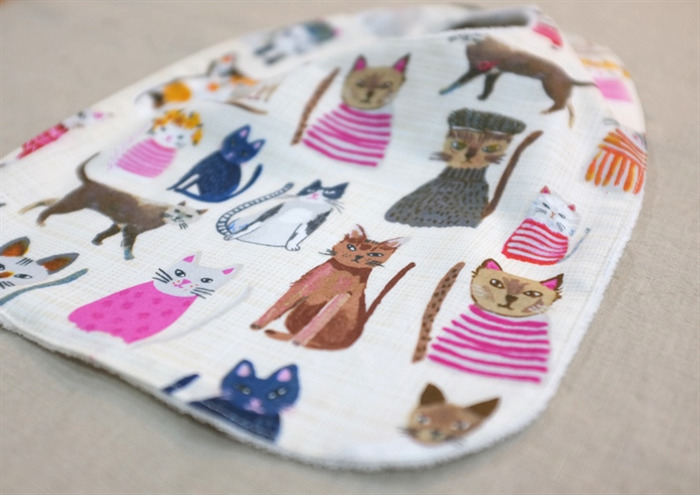 Not only do they protect clothes from dribbles and spills, they are a stylish accessory in funky fabrics. They’re always a welcome baby shower or newborn gift as you can never have too many. 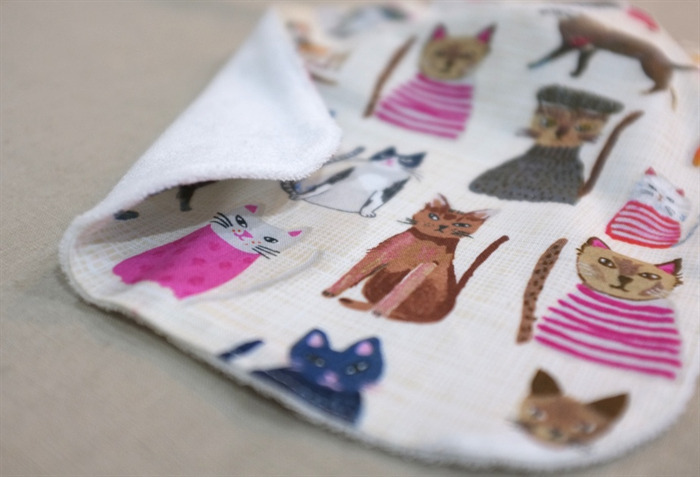 I hand-make my bibs from a base of super absorbent organic cotton and bamboo knit towelling, layered with GOTS certified organic cotton fabric on the front. 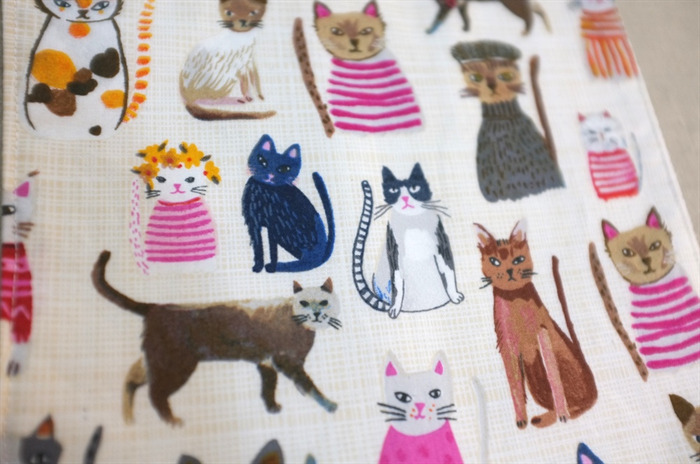 The fabric features a quirky pattern of cats wearing clothes on a cream background. The bibs are designed to give ample covering of baby’s front and shoulders, keeping clothing well protected. 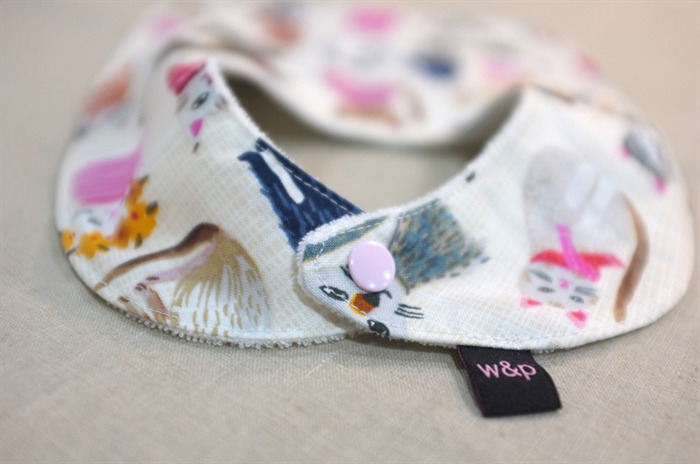 - a single snap/press-stud fastener at the back - easy for you to put on and remove, difficult for baby! Sized to suit babies from around 3-6 months through to 2 years.